The relationship between insulin and stress-related hormones is complex, but it’s important to understand it, especially for those living with diabetes. When the body is functioning normally, insulin lets glucose into our cells, providing much-needed fuel for our body’s work on a cellular level. As glucose is absorbed into your cells, the level of glucose in your body drops, which triggers regulatory and stress-related hormones to produce and release more glucose into the bloodstream. However, when you find yourself under significant stress, this cycle can get derailed, leading to elevated levels of blood glucose. 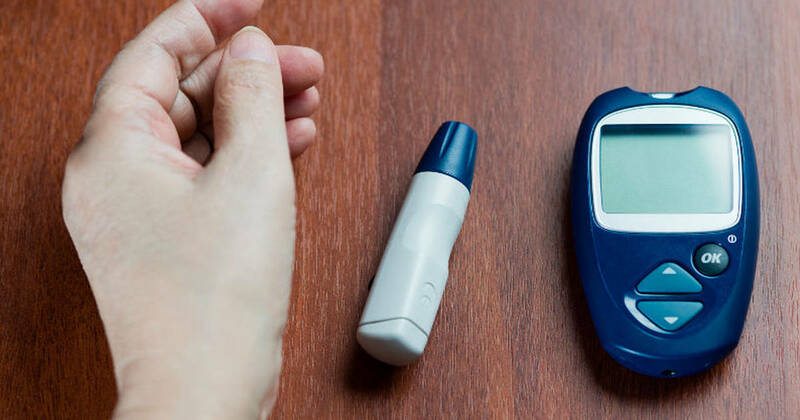 While this is a normal and important bodily function, it can be a cause for concern for diabetics, whose blood sugar regulation is compromised to begin with. Besides the effect that stress can have on hormone levels, it can also have an indirect effect on diabetics’ glucose levels by causing them to indulge in things that aren’t good for them, like drinking alcohol or eating too much of the wrong foods. Stress can also have a negative impact on your sleep cycle and your exercise habits, both of which are important for diabetics to regulate and maintain consistently. Studies have conclusively linked stress to hyperglycemia in diabetes(1). Recently, more research has shown that stress may also play a role in elevating a person’s risk of developing type 2 diabetes(2). What is clear from this research is that stress plays a major role in diabetes, and managing your stress levels effectively is a big part of living healthily with diabetes. Stress reduction plays different roles in the management of different types of diabetes. For those with type 1 diabetes, whose bodies do not manufacture insulin, stress reduction doesn’t have glucose-regulating effects; however, managing your stress levels has countless health benefits aside from glucose regulation. For individuals with type 2 diabetes, stress management can mean the ability to regulate blood sugar increases, something which can make a huge impact on your quality of life(3). Exercise, positive thinking, meditation and other activities designed to reduce stress can make a big difference in your life(4). Join a diabetes support group. Support groups can be a valuable source of information and resources, and can help you feel less alone in living with a chronic illness. Practice good self-care. Make sure you’re getting enough sleep, eating right, and staying active. Talk to someone. A therapist can help with more than just emotional problems – they can help you learn communication and problem-solving skills to deal with the stress of day to day life.